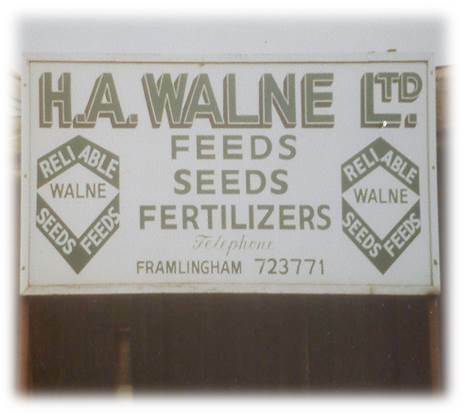 It will be 75 years on 15th of May 2014 since the Walne name first went up over the door of an agricultural merchanting business. 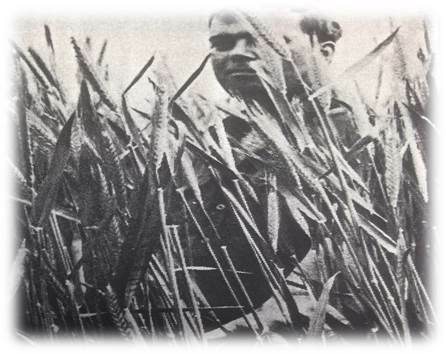 Alfred Creasey was one of the first corn merchants to be inspired by Framlingham’s new railway and in partnership with Herbert Manby and Christopher Studd traded as Creasey and Co. until their company was dissolved on 1st August 1901 when Herbert Manby took over under his own name. 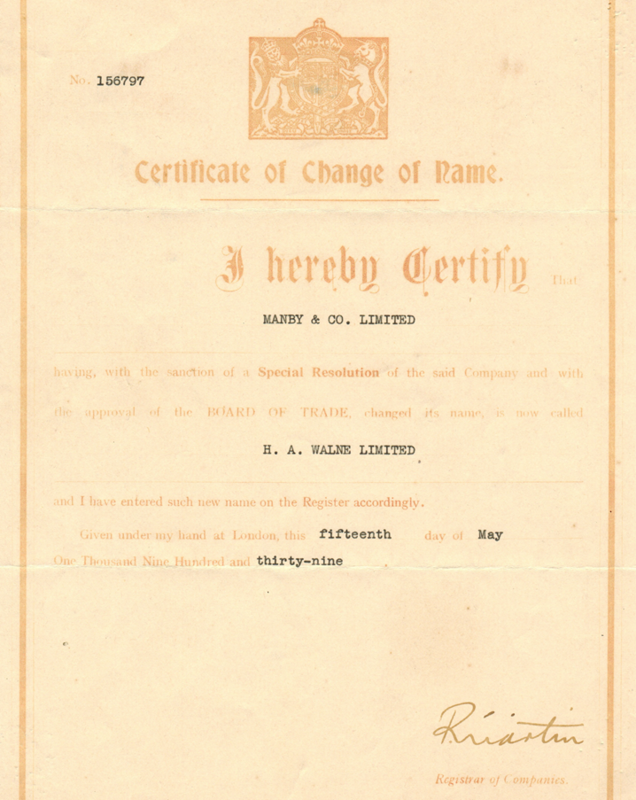 Manby was joined in partnership by Captain Henry Alfred Walne and on 7th July 1919 the two companies of Manby & Co. Ltd. and H. A. Walne Ltd. were incorporated. 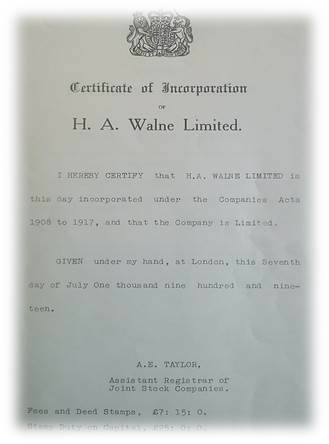 After the death of Herbert Manby, on 15th May 1939 the trading name was changed to H. A. Walne Ltd.
After the death of Capt. Walne in October 1959, his son Brian Walne became the Chairman a position he held until 1986. 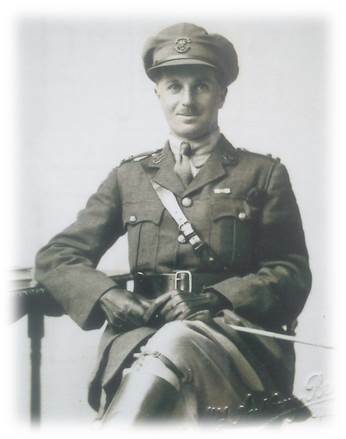 He managed the company alongside Gordon Challacombe for many years. 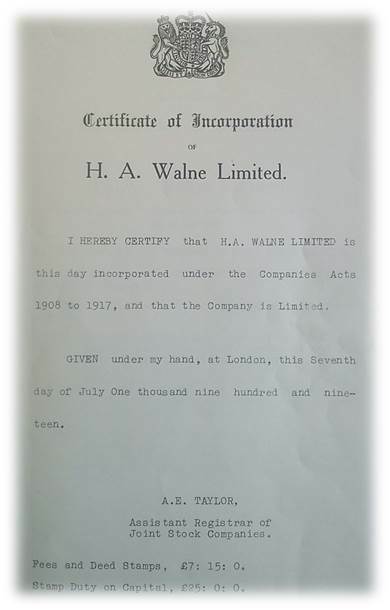 Walnes was to go through a rapid expansion during this time, with H A Walne Ltd’s turnover quadrupling from 1964 to 1972. This turnover was achieved with the modern methods employed at the time, including a new compounding mill, increasing the capacity by six which coincided with new stores being added increasing space fourfold in 1965. A further addition to the company occurred in 1972 with four new H A Walne branded Ford D series 16 tonners, with one being the first bulk feed blower, this all coincided with the exponential growth. Ray Arbon worked very closey with Gordon Challacombe for many years and became a director when he retired in 1978. 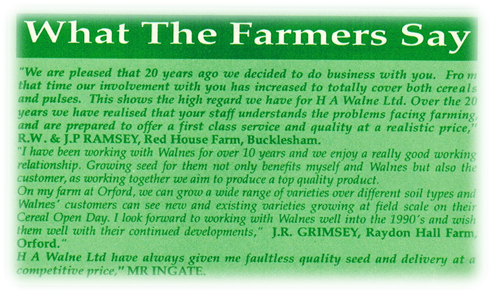 Ray when on to be managing director until H A Walne ceased trading in 1992. Figure 1. Official name change. 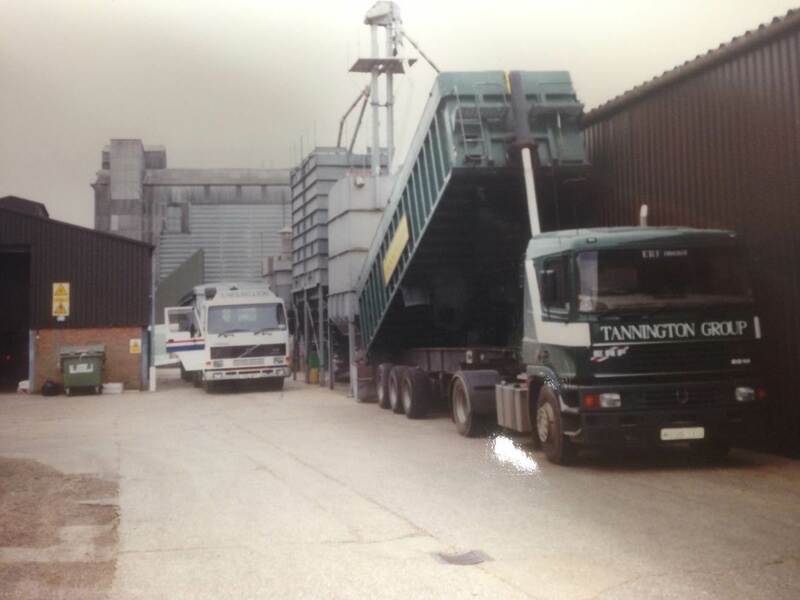 Between October 1986 and January 1989 a transition phase occurred with the company controlled by the Charnwood Milling Company. Until, the board of Directors acquired the business and once again became totally independent. During this phase of transition Walnes deployed a modernisation programme, both in their Feed Mill and Seed Plant. The seed plant modifications were largely overseen by Tim Bater, who is the current Production Director. This was seen as a huge success story with the seed division growing its reputation of Quality and Service, along with a good understanding of the customers’ requirements, which remain at the core of the business to this day. Figure 2. 1977 seed production and packing line, four new Ford D series 16 tonners (1972). It can be seen throughout the timeline of Walnes that those involved strived for the best or new avenues to provide success for the company. This can be seen through the initial introduction of the Complete Dog Diet (1985) and within a year its success led to the formation of the K9 Pet Food business, with the name actually coming about as a result of a competition ran at the time to find a name of a new dog feed product. Three years after that an animal health business was created, stocking items from silage additives to fly repellents. 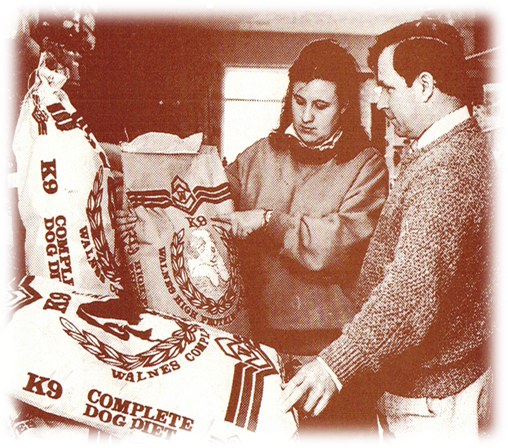 In 1989 the company celebrated its 50th anniversary; this was a busy year with appointments of a Feed Specialist and Nutritionists which continued the relationship at the time with Colborn Dawes Nutrition (largest manufactures of vitamin and mineral pre-mixes and nutritional products for the farming industry). 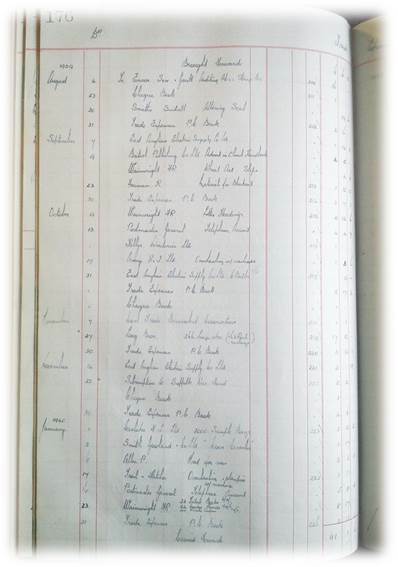 The achievements of the business was summarised by various farmers at the time (See below). 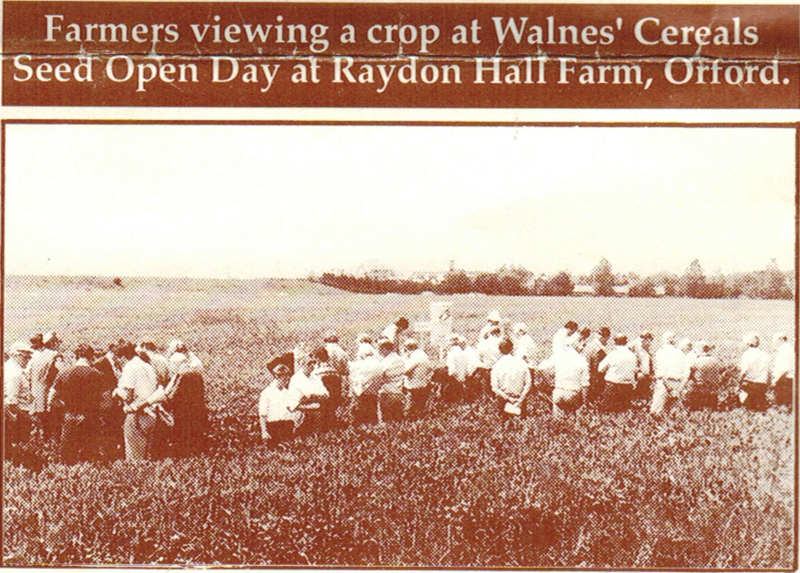 With the interest displayed in the popularity of the Walnes' Cereals Seed open day at Raydon Hall Farm Orford that still continues annually to this date (see beside). 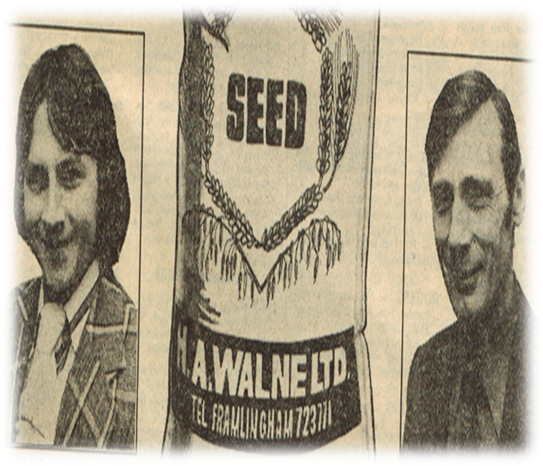 In more modern history in February 1992, Walnes Seeds Ltd was formed, and acquired the seeds part of the business when H. A. Walne Ltd ceased trading. Walnes Seeds originally rented the site before purchasing the freehold a few years later. Over the next 10 years the business continued to grow steadily and modernise the production facilities carrying on the tradition of good quality and service. 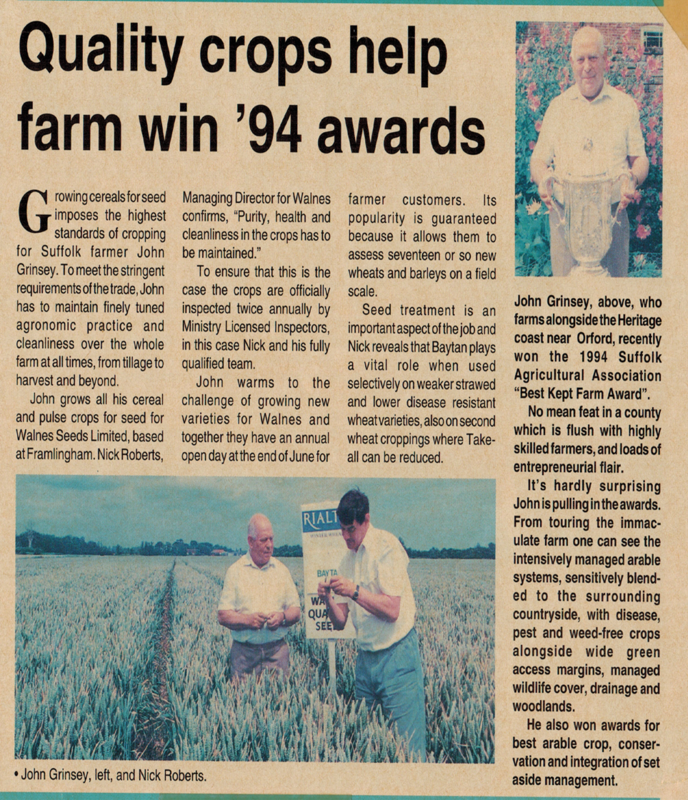 An article in 1994 demonstrates this quality, with John Grimsey winning the Suffolk Agricultural Association “Best Kept Farm Award”, with John growing all his cereal and pulse crops for Walnes Seeds. 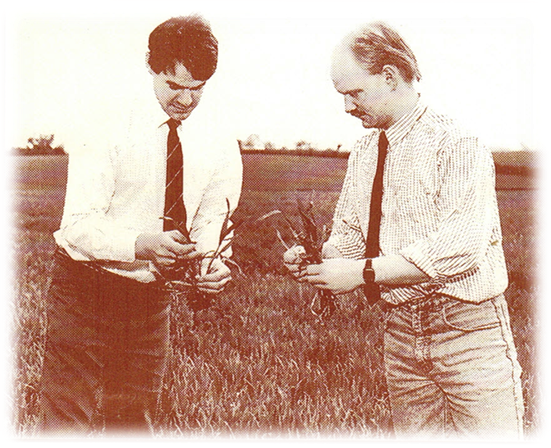 Growers for Walnes seeds can be seen to keep these high standards up today (collecting various arable awards throughout time). Therefore producing the HVS grade seed, from which Walnes keep their high quality standards in place. Agriculture practices were evolving and changing rapidly during this period and in 2008 the decision was taken to sell the station road site and dissolve the company. 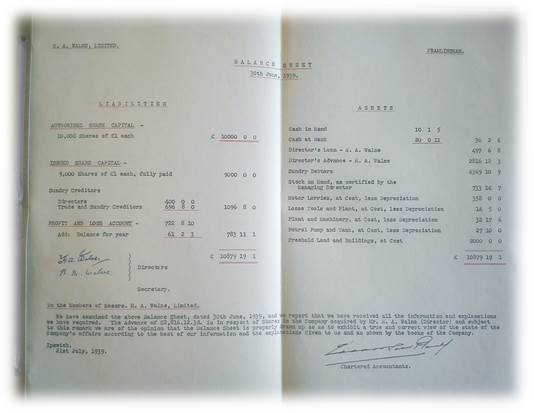 However in order to keep the business moving forward and independent, Walnes Ltd was formed by Andrew Cooper, Tim Bater & Judith Golder, and purchased the business as a going concern maintaining the trading title Walnes Seeds. Originally renting the site at Station Road on a short term lease, the plans were begun to relocate the business. 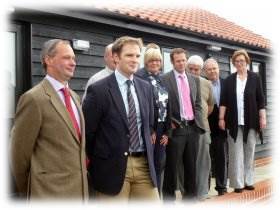 In April 2013, the relocation to Moat Farm, Earl Soham was completed, with the new redesigned plant coming online in July. The new facilities at Moat Farm provide the platform to continue service of the highest calibre in this ever changing environment that is agriculture. Walnes have always been a traditional company when it comes to its representation at shows in the local areas annually appearing at the Suffolk and Haleigh show. These shows represent a great opportunity to meet many old and new customers whilst supporting two great agricultural associations. 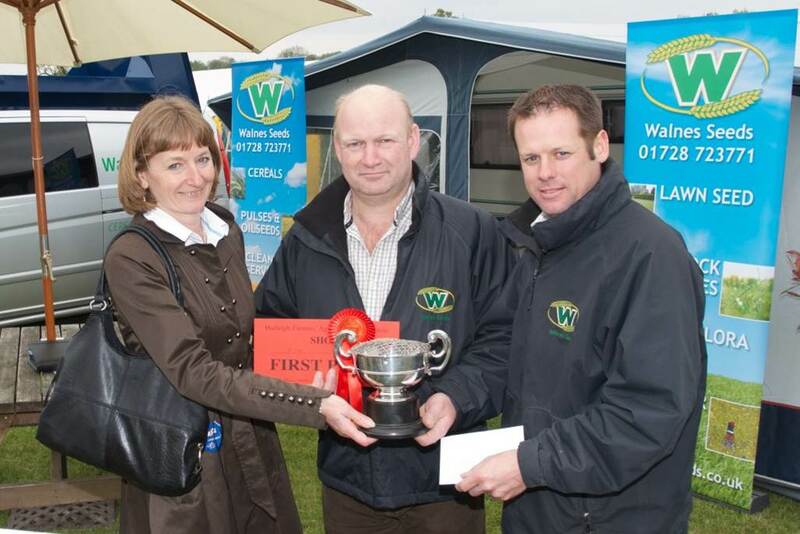 In 2010, Walnes was highly commended for its trade stand at the Suffolk Show, then in 2013 won the Perpetual challenge cup for the best trade stand 10m and over at the Hadleigh Show. 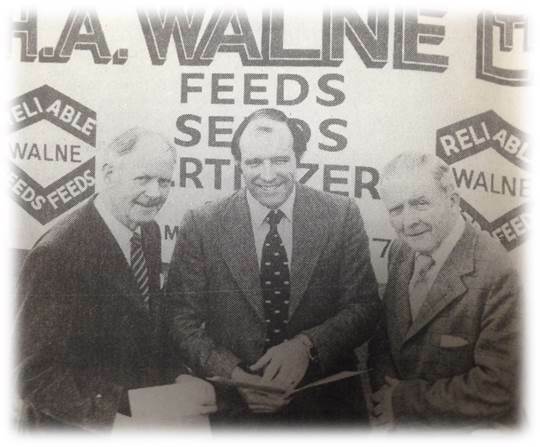 "Since joining Walnes in 1982 I have seen many changes in seed production. From packing entirely in 50 kg bags there has been a gradual transition to the 1000 and 500 kg bulk bags that we use today. With continuing pressure on autumn drilling and the increasing amount of varietal choice available to farmers, the seed season has become quite a challenge. 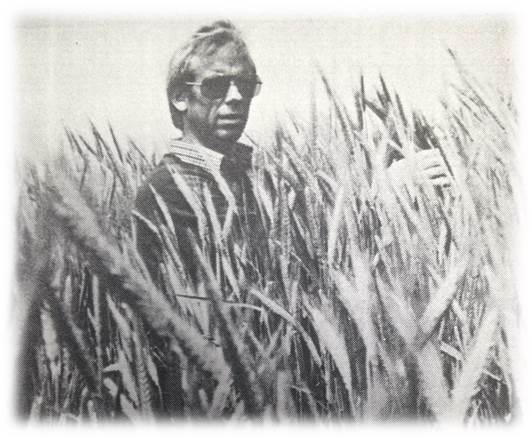 The window between harvest and drilling is ever diminishing and means that we now need to produce in eight weeks the same amount of seed that we did in twelve, some thirty years ago. The move to Earl Soham into a purpose built seed plant and warehouse means that we are now able to intake 150 tonnes a day of grain and store in bins 200 tonnes of clean seed prior to packing. These improvements, together with the experienced staff we have, will help to make sure that service, availability and flexibility continue to be the key to Walnes success in seeds." The Walnes business has been around for 75 years, and we are proud of the quality and service we offer. 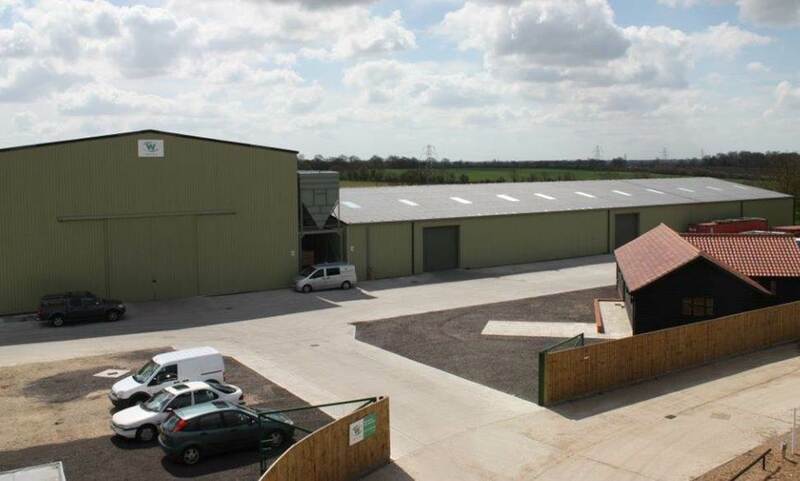 Our quality seed growers and the local farming community have helped the business to thrive and this new facility gives us the potential to continue to grow the business whilst maintaining our high standards. “The move to Moat Farm is hugely exciting for us as a business…It gives us the potential to offer an expanded range of services to our customers, from what is a much improved, modern facility.” Andrew Cooper, managing director. Figure 8. Solar Panels installed on plant roof in 2013 and new cleaning seed system inside. We can now offer farmers from an increasingly wide area a full range of cereal, pulse, oilseed, grass and game cover seed as well as a complete cleaning operation for farm saved seed.